You feel you have lost your direction at work, and you do not know what to do anymore. You seem to have lost that kick that used to keep you going. What do you do? And what can you do? Are you going through a phase? Here is what you need to do to get back on track. To gain back your direction at work, recall your goals. That is assuming you have them written down whether for work or for personal goals. How can your work help you achieve your personal goals? Do you have your goals written down? What is it you wanted to achieve this year with the job? How was the job going to contribute to your career and personal life? If you have goals written, then go for the lowest hanging fruit. What is it you can achieve quickly that can boost your confidence? Is there a goal that is fairly achievable in the near future that can make you feel motivated to pursue? That will keep you going and give you some direction at work? If you are feeling lost at work, chances are you may not be clear about the task at hand. Now, that’s not just talking about work alone. It includes your own personal life. Where is it going? Is your personal life making you feel like you feel lost? That can rub off on work as well. Be clear what you want to do. Not just at work, but your life as well. Spend some time writing how you feel. Talk to friends and explore new places. Our mind has a funny way to reveal answers to us. Do not underestimate the effectiveness of small steps. Most times, when someone has no direction at work, they tend to think about resigning. They think the work does not suit them anymore. That may not be true. Your current work can reveal to you the things you want to do in the future. Think of your work now as a small step to your discovery. Take small steps and you will be surprised how productive small steps are in helping you find direction. Take a good look at yourself. Analyze the time you spend at work. Take a long hard brutal look at how you work. Are you confusing busyness and business? One is just a sense of doing a lot of things. They aren’t exactly things that are productive and contribute to your work. So, most days you end up tired and not knowing what you are doing. Do you tick off your to do list well? Is what you are doing contributing in a rewarding way to your career or are you just BS-ing yourself into thinking you are being very effective? Finding your direction at work is very much about DOING. It is in the action. Not how you feel and what you think. It is what you do. You must take action upon next steps and be effective. Do follow-ups without being asked. Do not pretend to delegate, call for meetings, have endless discussions until your mind is numb. Then tell yourself you have done a lot. Think back on busyness. So you feel lost. You have no direction at work. Well, what can you do? Nothing but just do. And if you fail, it is OK. You never truly fail unless you give up. So long as you continue doing, how can you fail? Feel lost? Keep walking. If you want to find the direction at work, shed that feeling lost idea. And start doing. Have the courage to look into your goals, how you work and do not be afraid to fail. You will conquer the feeling of being lost at work, successfully. 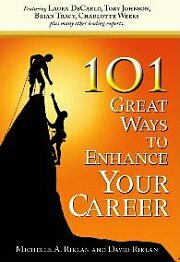 For more recommended readings related to Direction at Work article, click here.